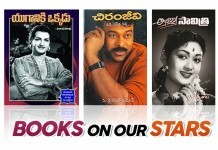 Home Entertainment Telugu songs on Amma! Amma is the most important person in the whole wide world and we love her relentlessly. Anything about her is very special. Here are a few songs from telugu films that convey our feelings for our mother.